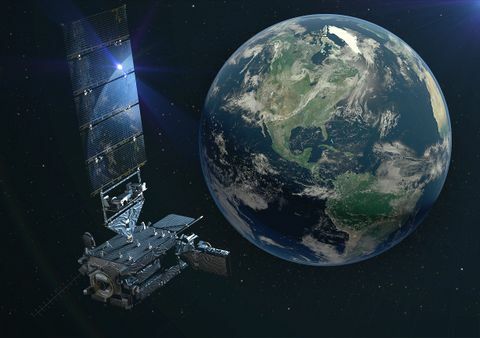 AZUSA, Calif. – March 30, 2018 –Two critical instruments built by Northrop Grumman Corporation (NYSE:NOC) for the National Oceanic and Atmospheric Administration’s (NOAA) newest weather satellite were activated and are successfully performing post-launch procedures after reaching orbit. 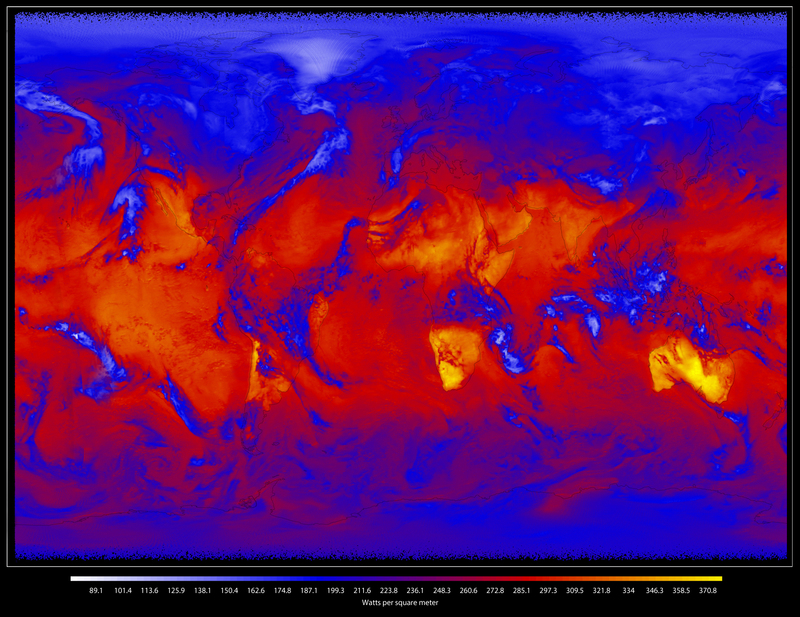 This image uses ATMS data to depict the location and abundance of water vapor (as associated with antenna temperatures) in the lower atmosphere, from the surface of the Earth to 5 kilometers altitude. Blue-green and purple colors depict areas with less water vapor, while transparent/grey colors represent abundant water in all phases (vapor, clouds, and precipitation) in low and middle latitudes. In the polar regions, purple depicts surface snow and ice. Water vapor distribution in space and time is a critical measurement for improving global weather forecasts. With detailed vertical information, forecasters can better identify the transport of water vapor associated with jet streams, which can fuel severe weather events. Image courtesy of the National Oceanic and Atmospheric Administration. The Joint Polar Satellite System 1 (JPSS-1) spacecraft, now known officially as NOAA-20, was launched from Vandenberg Air Force Base, Nov. 18, 2017. 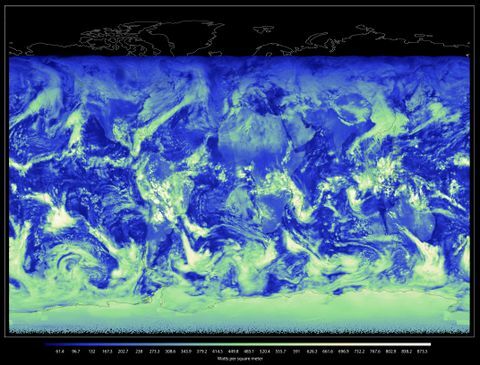 The key Northrop Grumman-built instruments are the Advanced Technology Microwave Sounder (ATMS), a next generation cross-track microwave sounder, and the Clouds and the Earth’s Radiant Energy System (CERES) (Flight Model) FM-6. As of Jan. 23, the NOAA-20 ATMS has reached provisional maturity status declaring ATMS data products potentially ready for operational use. 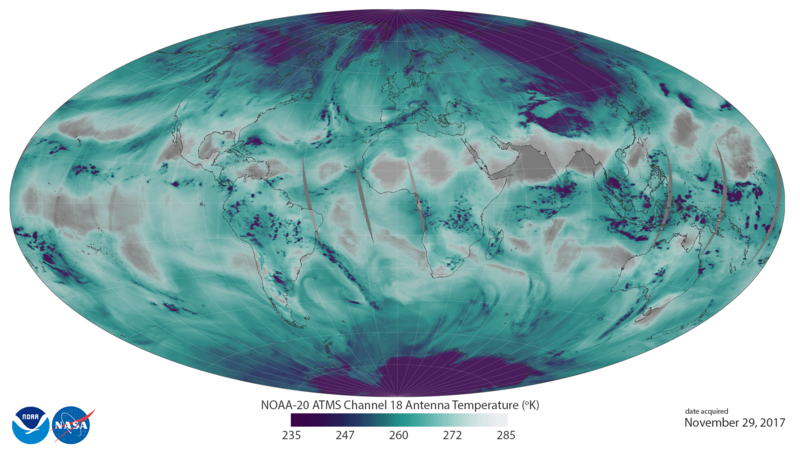 Data gathered by the ATMS Microwave Integrated Retrieval System technology is successfully generating atmospheric temperature vertical profiles, from the Earth’s surface to an altitude of 45 kilometers, as well as images of the location and abundance of water vapor, precipitation, and snow and ice cover. Water vapor distribution and vertical temperature science data are critical measurements for improving short- and long-term global and regional weather forecasts. With the detailed information ATMS provides, forecasters can better identify the transport of water vapor associated with jet streams, which give valuable insight to the nature of expected weather and also the duration of any weather system such as heavy rains leading to flooding, long term dry conditions leading to drought, and the direction and intensity of hurricanes. “With the severity of weather experienced this past year, early weather prediction is becoming more crucial in protecting lives and property. 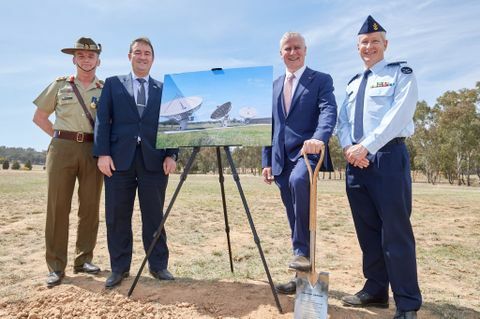 We are excited that these sensors will provide the technological capabilities necessary to improve weather prediction accuracy,” said Bob Mehltretter, vice president, military and civil space, Northrop Grumman. CERES FM-6, which measures reflected sunlight and thermal radiation, also is performing as expected. The covers on CERES were opened Jan. 5, allowing it to scan the surface of the Earth for the first time. CERES allows scientists to collect data to monitor the temperature of the planet and validate models that calculate the effect of clouds in driving planetary heating or cooling. This data can also be used to predict weather events such as El Niño and La Niña, which are climactic fluctuations in the temperature of the tropical Pacific Ocean that can influence weather globally. The first data collected from the NOAA-20 instruments is preliminary and part of a series of startups and checkouts that will take place before the satellite becomes fully operational later this year. NOAA-20 will join the NOAA/NASA Suomi National Polar-orbiting Partnership (NPP) satellite in the same polar orbit, operating about 50 minutes ahead of Suomi NPP. These two satellites will revisit the same part of the earth at different times. This important coverage provides scientists with observations of atmospheric temperature and moisture, clouds, hurricane intensity, sea-surface temperature, ocean color, snow and ice cover, volcanic ash, smoke plumes and fire detection. In this longwave image from CERES FM6, heat energy radiated from Earth is represented by shades of yellow, red, blue and white. Bright yellow regions are the hottest and emit the most energy out to space. Dark blue and bright white regions, which represent clouds, are much colder and emit the least energy. Image courtesy of NASA. In this shortwave image from CERES FM6, the white and green shades represent thick cloud cover reflecting incoming solar energy back to space. Compare that with the darker blue regions, which have no cloud cover, to get a sense for just how much clouds can affect the balance of incoming and outgoing energy on Earth. Image courtesy of NASA.